Painted and exhibited in the Art Miles UNESCO event in Paris France. Large 3ft x 3ft piece to honor our veterans for Dia de los Muertos in 2015. 48×60″ canvas work to remember my daughter, Brittany! Large 3ft x 3ft piece titled “Fairy Potion” on un-stretched canvas. 25th Anniversary for California State University San Marcos. 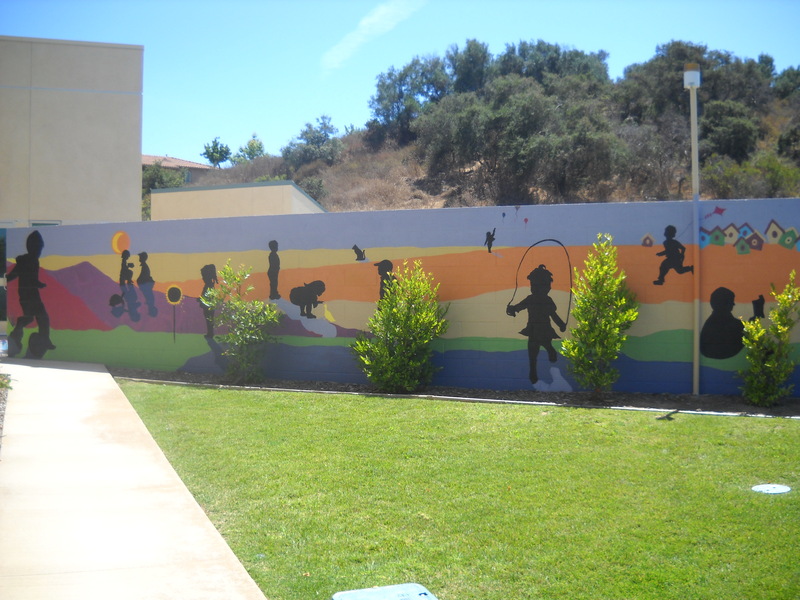 Joanne Tawfilis and I coordinated two mural projects for Discover CSUSM Day in 2015! CSUSM Community project with students for the Civility Campaign. I coordinated this project with Melanie Chu from the Kellogg Library. Our theme for the Culture project was to capture thoughts and inspiration for the Goodread of the year, “This I Believe”. 8 Dimensions of Wellness with Miguel Angel Godoy and CSUSM Students! This was a wonderful project to facilitate and well worth it! With the help of Artmiles and local participants, I coordinated a community mural project so we could send our love and support to children and families after the Sandy Hook Elementary shooting in December 2012. Twenty children were shot and killed with 6 administrators during a normal school day. The nation was devastated and people felt helpless. I wanted to paint a mural myself but felt it was also important to reach out to others. We gathered local artists, community members and students from CSUSM, SMHS, Discovery Elementary School and more. Our goal was to send 10 murals, one of which we’d paint on this day however we were fortunate in sending 13 murals. Numerous people poured out to participate along with the local press from UT, North County Times, San Diego County News and KUSI. This was a project I coordinated with students and faculty at the California State University in San Marcos. 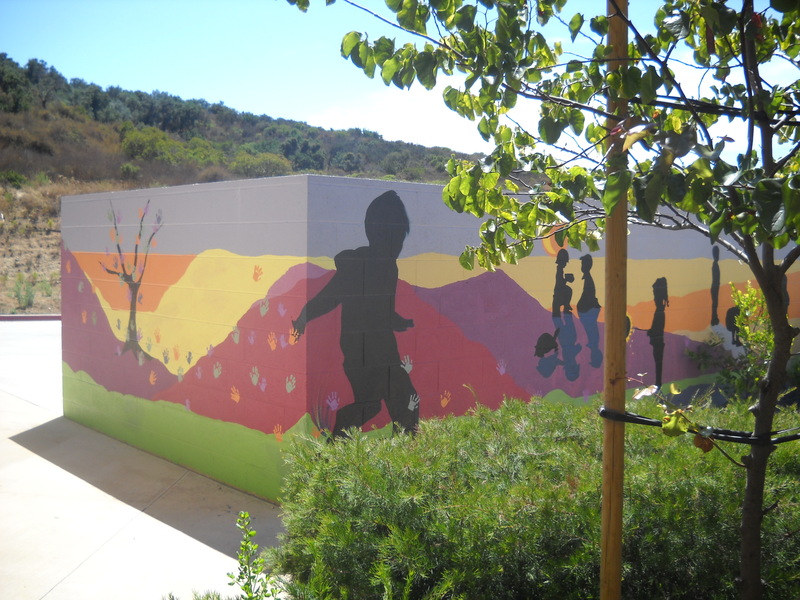 After painting my mural the campus child care center I thought it would be a good idea to apply for a grant and see if I could make a much larger project come to fruition. I was successful and was awarded an Instructionally Related Activities grant so with the help of Professor Avalos, Hugo LeComte, Professor Doris Bittar and street artist Isaias Crow we made the project a reality. The Univille Mural project was born!